We’ve often heard it said by people of a certain age (you know who you are) that they are “so glad there wasn’t social media when I was younger”. What they invariably mean is that they thank the stars that their tragic renditions of ‘I will Always Love You’ at Karaoke, the aftermath of two for the price of one nights at the student bar and the carnage of Fresher’s Week were never captured for posterity. And yes, thank god for that. But the flip side is that social media is and continues to be an integral part of capturing and chronicling student life and creating a sense of ebullience about your university experience and especially your university itself. We’ve long exalted the role of student generated content to be a mainstay of a university’s recruitment efforts and this is reinforced convincingly this week. 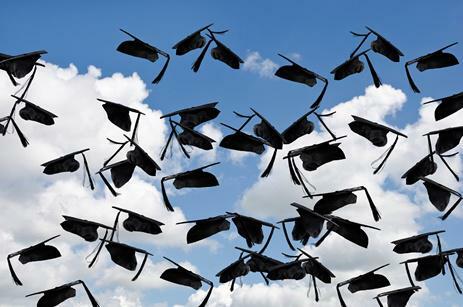 For this week is graduation week for many university students throughout the length and breadth of the UK. Full disclosure, the University of Bradford is a client of ours and has been using our Digital Marketing & Web Content Management platform for years. And while we’re perhaps a little biased we love their marketing campaigns and specifically their ability to get their students (past, present and future) involved in university related social media activities. And today is no exception with their #ShareYourSmile campaign to celebrate graduation day. It’s not rocket science of course; pick a hashtag and encourage people to share their personal pictures of their graduation. Team Bradford realise the power of photography, the inherent appeal to prospective students of seeing graduating students show their pride in having been part of the University of Bradford and also having successfully navigated their way through the past few years. And graduation isn’t just about the graduate themselves but rather the network and community of faculty and family that have played a role. From the proud parents and grandparents, to the inspirational lecturers (often bemoaned as tyrants until eventually heralded as inspirations). We think you'll agree that this is a really effective campaign and tugs on the heartstrings a bit too. We’ll be picking a selection of our favourite graduation campaigns next week so please share your favourites with us. We’d love to include them. Tag us on Twitter @TERMINALFOUR to keep us in the loop.